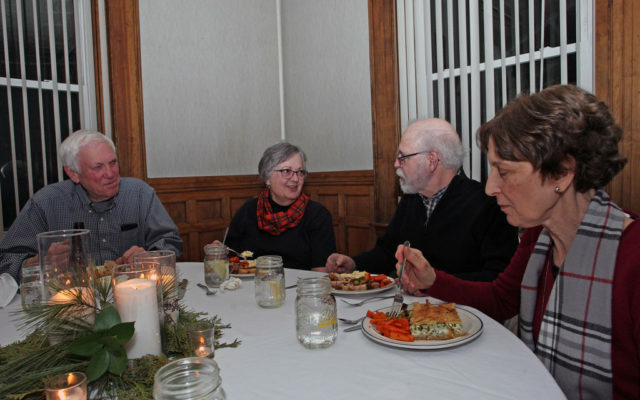 The County Co-Op and Farm Store brought a taste of all things Aroostook County Saturday evening as the group held its annual membership dinner at the Houlton Lodge of Elks. 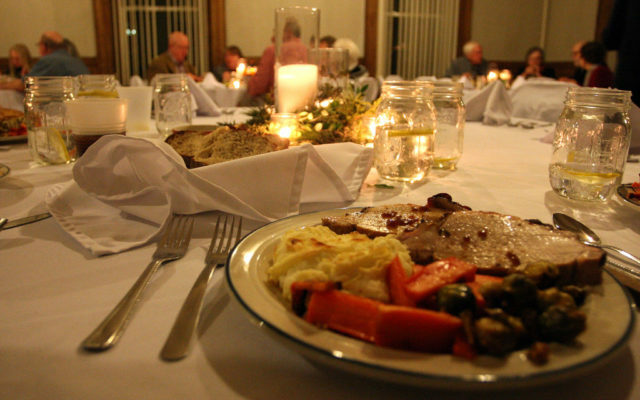 HOULTON, Maine — The County Co-Op and Farm Store brought a taste of all things Aroostook County Saturday evening as the group held its annual membership dinner at the Houlton Lodge of Elks. Featuring tantalizing appetizers and a delectable main course of roast pork or veggie spanakopita, the evening also served as a business meeting for the group to elect new officers and board of directors. Members elected new officers at the conclusion of Saturday evening’s meal. Torres is continuing as president, while Sarah Williams-Flewelling became vice president, Cynthia Mooers is secretary and Lori Weston is treasurer. The co-op reappointed Annie Torres, Linda Faucher, Elizabeth Anderson and Anne Callnan to the board of directors. Torres said the idea for a co-op originated seven years ago when a group of independent researchers conducted a study to assess the probability of the success of such a venture. While the results of that study were less promising than hoped, Co-op organizers forged ahead with plans to create an avenue where local growers could have an outlet for their goods beyond the typical farmer’s markets. The County Co-Op and Farm Store is a member-owned and controlled retail outlet for natural and sustainable foods and goods, while promoting locally sourced and organic products when available at fair prices to support members and the community in southern Aroostook. The County Co-Op and Farm Store opened in July 2014, at 53 Main St. in downtown Houlton, with just a small cafe featuring foods made with local ingredients. The business soon expanded to include a retail store featuring locally made products such as hand soaps, wooden crafts, and a wide assortment of organic goods. Those who purchase memberships with the co-op receive discounted prices on all goods and have the option to buy in bulk. For more information on the co-op visit the group’s Facebook page. A fabulous meal of roast pork or veggie spanakopita was served to guests at the County Co-Op’s annual dinner Saturday, Feb. 2. 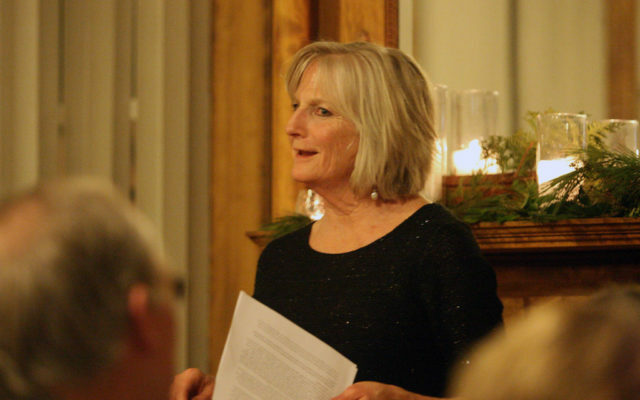 Jane Torres, president of the County Co-Op speaks to guests Saturday, Feb. 2, at the Co-Op’s annual dinner.